Our Board-Certified Consultants are available on an as-needed basis if your pet experiences a serious illness or injury that requires a specialist. They perform their services at our hospital, meaning both you and your pet will be comfortable at your regular veterinarian while receiving specialized care. 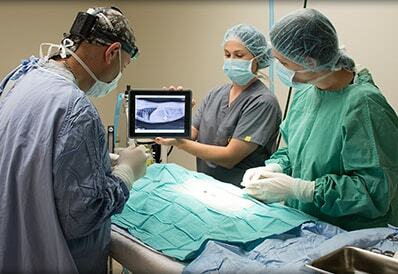 Dr. Dillon has a major focus on reconstructive surgery as it relates to trauma and cancer treatment. 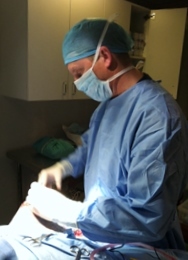 Dr. Dillon has the task of performing some of the most advanced surgeries in our area, while the entire procedure is completed within Tri-County Animal Hospital’s operating room. Dr. Justin M. Goggin, DVM, DACVR (Diplomate of the American College of Veterinary Radiology) graduated from Cornell University College of Veterinary Medicine and completed an internship in small animal medicine and surgery, as well as radiology at Kansas State University. 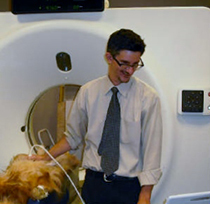 Currently acting as director of Metropolitan Veterinary Radiology, Dr. Goggin has been a board certified radiologist since 1998. He is a highly sought after expert in the field of veterinary radiology, with accomplishments that include a seat on the American College of Veterinary Radiology examination committee (2006-2009). He has also been published in numerous peer reviewed articles on the subject of diagnostic imaging. 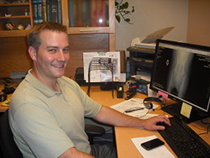 Dr. Kyle A. Francis, DVM, DACVR (Diplomate of the American College of Veterinary Radiology) graduated from Ohio State College in 2002. He then went on to complete a residency and Masters in Radiology at The Ohio State University (considered to be the most difficult program by experts in this field of study). Dr. Francis has advanced training in thoracic, abdominal, cervical, musculoskeletal, head, neuro-cranial and spinal imaging with ultrasound, radiography, nuclear medicine, CT and MRI as well as US and CT guided diagnostic aspirates and biopsies.